The Acushnet Company, parent of Titleist and FootJoy, today opened its long-awaited IPO at $17 per share on the NYSE, meaning the IPO brought in $329 million to its parent company, Fila Korea, Ltd. That’s approximately $100 million less than the expected price based on original projections of between $21 and $24 per share. Halfway through today’s trading session, Acushnet stock traded as high as $18 per share and as low as $16.90. As a result of the IPO, Magnus, which is wholly-owned by Fila Korea, will control 53.1 percent of Acushnet’s common stock. Fila Korea Ltd., purchased Acushnet for $1.23 billion in 2011. Magnus will control a majority of the voting power of all outstanding shares of common stock; Acushnet will qualify as a “controlled company” within the meaning of the corporate governance standards of the NYSE. Financial investors will collectively own approximately 20.3 percent of Acushnet’s outstanding common stock (or approximately 16.4 percent of outstanding common stock if the underwriters’ option to purchase additional shares from the selling shareholders is exercised in full); and the new investors purchasing shares will own approximately 26.1 percent Acushnet’s outstanding common stock – or approximately 30 percent if the underwriters’ option to purchase additional shares from the selling shareholders is exercised in full. The IPO has its share of detractors. Some Wall Street analysts point to the fact that company insiders sold 100 percent of the shares and that Fila Korea will have major voting as red flags for staying away from buying Acushnet stock. Other red flags that analysts see are Acushnet’s high amount of long-term debt and capital lease obligations; slow annual growth rate – between two and three percent – despite having brand leaders in Titleist golf balls and FootJoy footwear; and operating in an industry that is growing (if at all) at an even slower annual rate. Acushnet’s IPO is the largest in history by a golf company and the most significant since Callaway Golf Company went public on the NYSE in the early 1990s, largely on the enormous success of the Big Bertha line of drivers and metal woods. But that was then and this is now. In the early ‘90s, Callaway’s Big Bertha metal woods – particularly it’s then-oversized drivers – were a new mousetrap of sorts in golf equipment that spurred a resurgence in equipment sales and equipment design and technology. 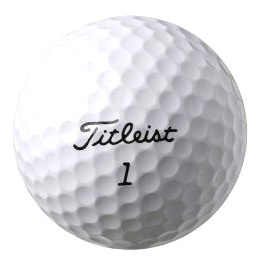 The next great breakthrough in equipment innovation occurred in 2000 when Acushnet introduced the Titleist Pro V1 golf ball. There wasn’t anything earth shattering after the Pro V1 until TaylorMade launched adjustable drivers in 2005 and one could argue there hasn’t been any breakthroughs in equipment or equipment technology since 2005. More challenges (perception and reality) for Acushnet to overcome in order to drive its stock price: Golf equipment sales (industry wide) have steadily declined the past few years; golf courses, it seems, are closing weekly; Nike Golf, once thought of as the next great threat to Acushnet’s ball and shoe supremacy, never could get out of its own way and earlier this year announced it’s leaving the club and ball business; the adidas Group has had TaylorMade Golf on the sales block for more than one year without takers; and Callaway Golf is having to look for growth outside of the equipment world to companies such as Topgolf, which operates sports entertainment complexes around the country. If those aren’t enough, consider that rounds played and player participation in the U.S. – the largest market in golf – each have declined steadily over the past several years, with no proven initiatives to grow the game with its core players or attract and keep a significant number of new players. That’s the golf industry of the “new’’ Acushnet Company, and one in which it will not only have to show sales/earnings growth in order to drive its stock price per share, but one in which it will have to be more transparent in the way it operates. 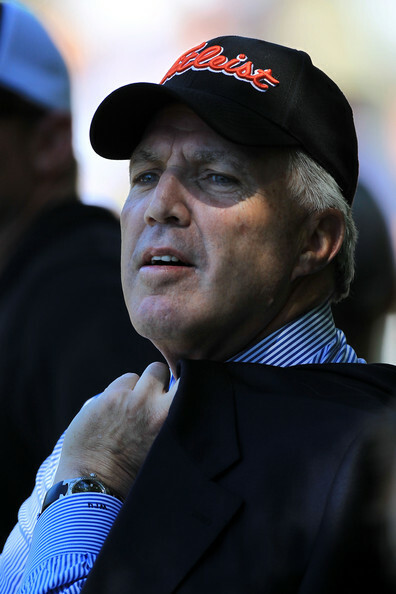 Acushnet Chairman Wally Uihlein is the best and brightest CEO in the golf industry – and has been for more than 30 years. For the most part, however, Uihlein has been able to play his cards close to the vest and operate on his own timetable. Nobody can argue he hasn’t been successful. But now Uihlein is taking the Acushnet Co., into the world of Wall Street, which can go up or down on a whim. He’ll have to answer questions from not-so knowledgeable analysts; he’ll have to be accountable for a stock price the world will see every day; and more people – for better or worse – will know more about Acushnet’s business than ever before. Today the Acushnet Co., rang the bell. Only time will tell if the company can answer it. Are golf club OEMs looking to move plants from China to Mexico?